The other day, a chef on TV was talking about how to fix too much tarragon after it’s been added to a dish. Rather than try to counteract or neutralize the extra, the best solution may be to toss it in the trash. And never make it again. After seeing the below data, you will likely agree. Sure, dried and fresh tarragon is good on chicken and fish, plus it can make an occasional cameo in soups and savory sauces. However given that there are alternative spices which offer a similar flavor profile, anyone wanting to avoid tarragon for safety reasons can do so by easily tweaking their recipe (see below for the best substitute). You will also want to pay attention if you eat fennel seed, basil, cinnamon, star anise, nutmeg, parsley, and the other spices we’re about to talk about. Those who use tarragon essential oil, or another oil made from these spices, will have more cause for concern. 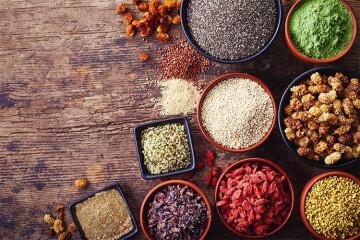 In a public statement which was a decade in the making, the EU states that exposure to a certain compound found in all of these herbs and spices may be assessed as if it is “reasonably anticipated to be a human carcinogen” even though no “official” designation for such has been made by the IARC (World Health Organization). 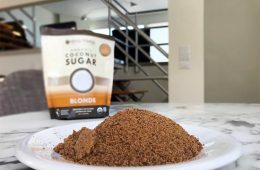 Before we go over which of those common spices you should find alternates for (some are OK), the following one – which the public perceives as being healthy – deserves extra scrutiny, because it has two strikes going against it. Is tarragon good for you? Too much of the spice is already known for being toxic to cats and dogs, but there might be a hidden risk which is even worse. The time it takes for a suspected carcinogen to become a confirmed carcinogen often spans several decades. 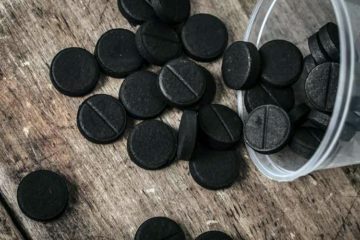 Rumblings will start about a given compound being dangerous, a few startling scientific studies will be published, yet it still may take decades until there’s enough data to conclusively decide one way or another. Can you get cancer from a cell phone? Those most recent studies are reminiscent of what was seen in decades past, with some other suspects, before they were deemed a carcinogen. In a similar way, the alarm bells about the side effects of tarragon are not breaking news. The concern about its major component, estragole, have been going on for quite some time. Even though we don’t eat tarragon daily, most of us consume basil and the other estragole containing spices regularly. Given that, you would think such findings would spur rapid research. In 1983, something was published which drew a similar conclusion (2). Yet it took well over 20 years after that first study until governments began investigating. Forget tarragon being safe in pregnancy or any potential health benefits if may offer. Their statement went so far as to infer it might not be safe for anyone, at any level! 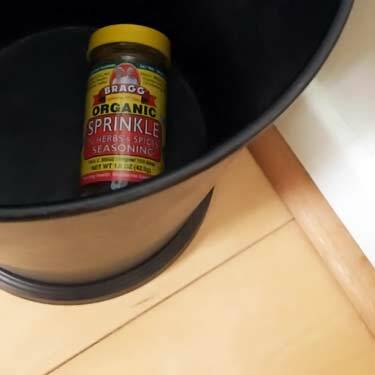 The rubbish was the best place for this bottle of Bragg organic sprinkle, after analyzing the disturbing microscopic imagery below. 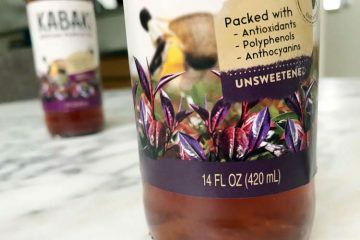 So why is this spice still being widely used, including in foods geared towards health-oriented consumers, like the popular Bragg organic sprinkle 24 herbs and spices seasoning? For some people, those quotes from 15+ years ago would be enough reason to forgo not just tarragon, but others too, because of the estragole in basil seed, fennel, and more. Then there are people who would do the same, but just haven’t heard the information. No surprise, as knowledge can take a long time to percolate. We could list dozens of common nutritional beliefs which are outdated by decades, yet they’re still prevalent in the minds of many. Then there are those who won’t pay attention to diddly squat, unless there are PSA commercials and billboards announcing it. Even then, people ignore. Think of cigarettes. However the biggest reason why no one gives a flying feather – even if they’ve heard of this potential side effect – is because the door is still left often as to whether or not it’s really that bad for you. Not good for you, but less bad than expected? 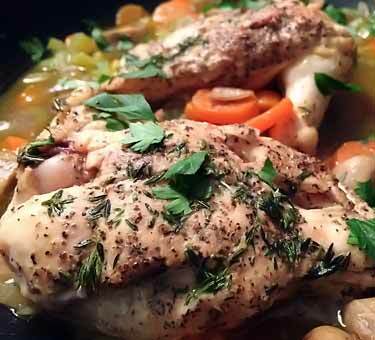 For many Parisian chefs, the idea of having to change their roasted chicken Provençal recipe is unpalatable. Will they have to give up French tarragon in the future? The draft of this document was first released in 2005. It was revised in 2013, adopted in 2014, and the deadline for final comments was in 2015. Estragole is a genotoxic carcinogen in rodents. The MoA [mechanism of action] seems to be similar in humans as far as it has been possible to study. Processes resulting in a threshold for genotoxic and carcinogenic actions are possible, but ultimately need further investigations. Exposure to estragole may be assessed as if it is “reasonably anticipated to be a human carcinogen”, i.e. risk assessment paradigm should follow other proven carcinogens (however, ’officially’ no such evaluation and conclusion by IARC or NTP has been made). Does that mean a 1/2 mg every day of your life? Keep in mind this statement was about “herbal medicinal products” containing this isolated compound. That consists of things like tarragon essential oil and similar concentrated sources, which can have exponentially higher amounts. By the way on that note, among the highest antioxidant essential oils, tarragon is way down at #37 on the list. 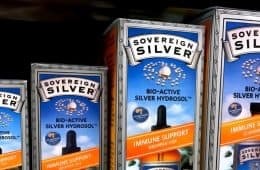 Any of those higher up would be better substitutes for skin care, but keep in mind they’re not food grade and therefore shouldn’t be used for culinary purposes. This is because the estragole is found in the essential oils, which typically make up less than 5% of a plant. 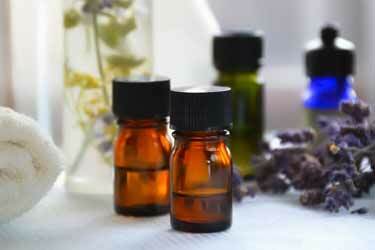 For many species, the essential oil is less than 1% of the plant. So how do the isolated sources of it compare to the whole leaves that we eat, whether that be tarragon on chicken or basil on pizza? Chia seeds are not known to contain estragole, despite us being asked that recently. Very common spices are on that list. Many of us consume basil, cinnamon, and parsley multiple times per week. So why does there seem to be more questions about tarragon toxicity and liver cancer than the others? For one, the amounts in these spices can vary greatly. 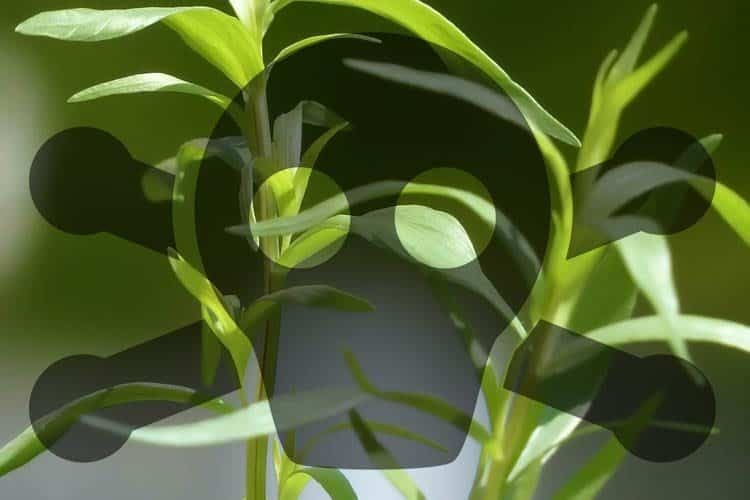 Of the parts used from the tarragon plant, 0.7% is estragole. Bitter fennel is 0.3%. Star anise is 0.4% while anise seed is just 0.04% (that’s 1/100th of star anise’s content). Cinnamon and its liver toxicity is already well known for another reason; courmarin. Basil is probably the most common spice on that list. How much estragole there is in basil is not low; 0.4%. Yes, that’s over 40% lower than tarragon, but it’s still a lot! So is it time to give up on basil pesto? 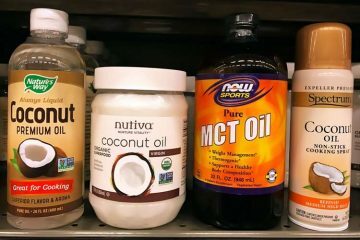 That very first study from 1976 specifically pointed out the the 1′-hydroxy metabolite (1′-hydroxyestragole) as being the problematic one. In plain English, P450 (enzymes mostly found in your liver) and SULTs (other enzymes) may need to be activated in the body, in order for the cancer causing compound to be created (7) (8). 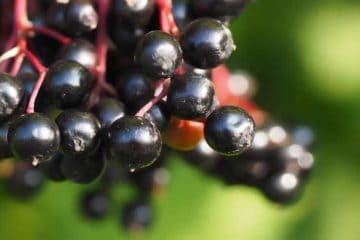 In plain English, the antioxidants in these herbs appeared to stop the SULT activity and therefore, prevent the estragole from being broken down into the suspected cancer causing component (1′-sulfooxyestragole). If correct, this would explain why the concentrated estragole used in mice and rat studies caused liver tumors, but why the same is not being seen when we eat estragole-containing spices. That may be why the science to date overwhelmingly infers the opposite – anti-cancer benefits from some of these spices. 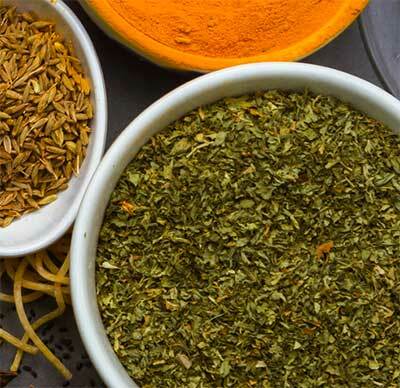 If it is the plant’s potent antioxidants like kaempferol and quercetin which are preventing the concerning 1′-sulfooxyestragole compound from being created after digestion, then perhaps it would be safer to eat the spices which contain higher amounts of antioxidants? If that theory was to be followed, then will you need to find a replacement for tarragon? At first glance, these numbers can be misleading because you are viewing both the fresh and dried values for some. Since ORAC is based on weight, obviously the fresh will be lower, since they still have their water intact. After considering that, which of these are least and most concerning? Sweet basil does contain ample amounts of kaempferol, one of the antioxidants called out as a being suspected inhibitor of the cancer-causing compound (9). 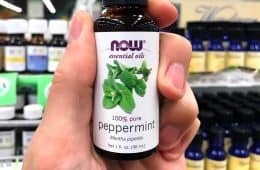 The concentrated sweet basil essential oil is mostly methyl chavicol (74.9%) and research published in 2016 demonstrated its antiproliferative (anti-cancer) activity in the lab (10). Parsley contains high amounts of both kaempferol and quercetin, which was another one mentioned (11). 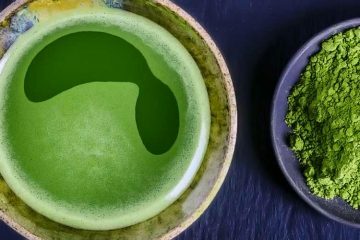 Parsley has demonstrated antiproliferative activity against the cell lines of breast cancer (MCF-7, MDA-MB-231) and colon cancer (HT-29) in lab experiments (12). Verdict? Basil and parsley stay on the nice list. It’s easy to distinguish the star anise from other spices. The health benefits of star anise are offset by other dangers, so we frown upon it regardless. Ditto for the benefits of cinnamon in the Cassia form – it has liver toxicity from courmarin. Instead, we highly recommend you buy the form we use daily, which is Ceylon cinnamon. It has up to 250x less courmarin than cassia, which unfortunately is what everyone seems to use (13). 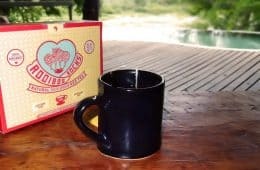 In fact, most grocery stores don’t even sell Ceylon because it can be expensive. 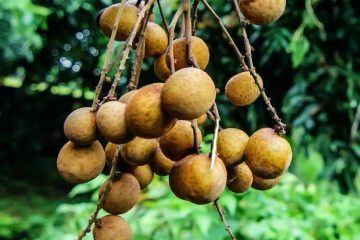 Nutmeg is another one that is high in antioxidants, but it still probably not a good idea to eat in excess for a multitude of reasons. Nutmeg remains on the nice list, but not for frequent consumption. Fennel? Not only does it have almost no antioxidant activity, but a whopping 2-6% of the seed is essential oil, according to that recent EU report. However, the percent of the fennel oil which is estragole is much lower than most of the other foods. As a result, the total concentration in the edible part of the plant is 0.3% (versus 0.4% in basil and 0.7% in tarragon). This means fennel has almost the same amount of estragole as basil, but almost no antioxidants. For that reason, fennel should be avoided. Or at least, don’t consume on its own for digestive benefits (as many people do, chewing the seeds). Mixed with other high antioxidant spices, fennel will be less of a concern. Fennel teas often have low amounts of estragole overall, because it’s only one of many in the mix (14). 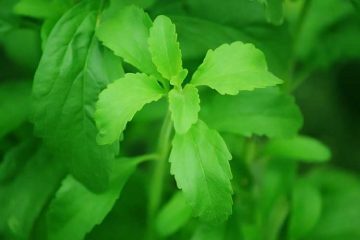 Certainly, tarragon essential oil may be dangerous, and the same could be said about lemon balm essential oil and any others which make use of these estragole spices. But in its whole form – the edible leaves – is tarragon healthy? French tarragon is poisonous to cats and dogs, or at least not safe for them since GI upset, ataxia, muscle weakness, depression, and hypothermia are all known side effects according to ASPCA (15). But those symptoms are not typical in humans, so is tarragon safe? It’s on the avoid list, but not simply because it contains estragole. As we said up top, this herb has two strikes going against it. 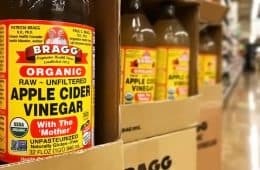 Even though there is now a large body of research suggesting concentrated estragole causes cancer, the same has not yet been seen with whole herbs containing it, likely due to the reason we just discussed. They used the whole leaf extract, on mice as well as human white blood cells in Petri dishes. 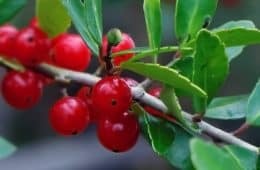 In other words, the more leaf extract used, the more DNA mutations which were seen. 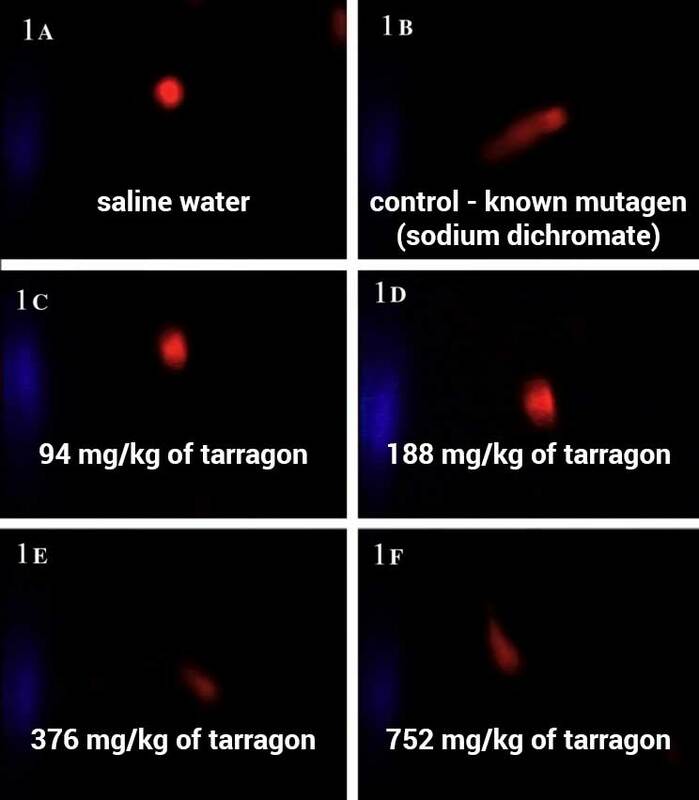 Since their experiments also used controls for comparison (saline water and a known mutagen) which performed as expected, it would suggest that this is not a fluke. Sounds like estragole worries might just be the tip of the iceberg with this particular spice. The tests look the same for the herb as they do for sodium dichromate, a known human carcinogen; lung cancer (17). The more herb used, the greater the mutation. In light of these findings, as well as that it’s already a high natural source of estragole, the idea of switching this spice out in your recipe seems like a good idea. 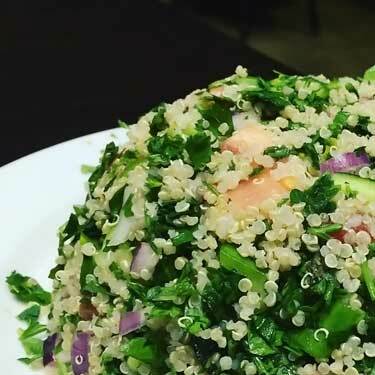 Is there a substitute for tarragon? Yes. Its taste is not spicy, but rather bittersweet along the lines of licorice. For that reason, the best replacement for tarragon will be anise seed. 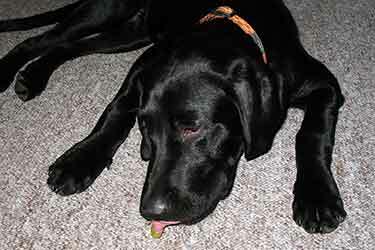 It produces a licorice-like flavor on your tongue which is very similar to tarragon. 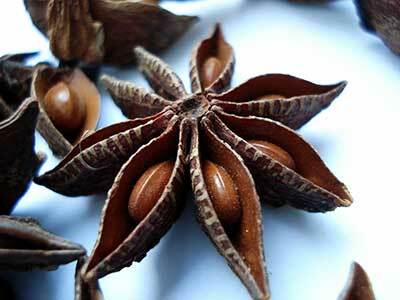 But be sure not to confuse anise seed with star anise. While they both taste similar, they are two totally different plant species. Poisoning from star anise is a risk due to contamination from cheaper (and toxic) things it may be “watered down” with (90% comes from China). The FDA has previously warned about the dangers of star anise tea for pregnant women, adults, and children due to that problem. Going back to the real anise, not the star version, it has just 0.04% estragole. That’s a 94% lower concentration than how much estragole is in tarragon. So even though it doesn’t seem to be the biggest issue, you might as well go with a replacement which has the lowest amount, right? Great article. I eat 10 grams of dried parsley, 5 grams of dried basil and 5 grams of dried oregano every 2 days with cooked vegetables. I was aware of the estragole in the basil, and that it shouldn’t be consumed for long. So I plan to alternate between rosemary and basil for weeks or months. I highly recommend the Handbook of Medicinal Herbs by James Duke, it’s a great resource for their activities, indications and most important: recommended dosages by different organizations.